Learn what a submission is, how to assign a submission to a single student, and manage the required class feedback. With submissions, you can create a schedule with staggered dates for students to submit their writings. Submissions work great for workshops where you want to participants to focus on the work of individual students. 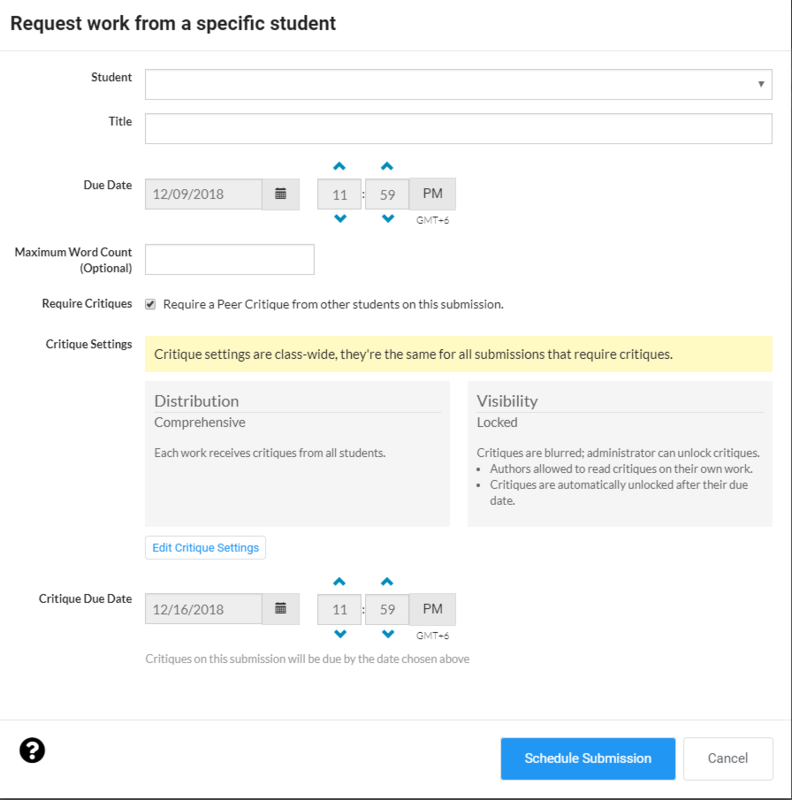 Click on 'Submissions' in the left navigation of your 'Class Administration,' then the 'Schedule Submission' button. Click on the 'Submissions' tab, and then the 'Schedule submission' button. This will bring up a window where you can choose a student and enter details and schedule a submission. Student: Select the student from the drop-down that you want to assign this submission. Title: A brief title for this submission. Due Date: The date by which the selected student must submit her writing for this submission. Critiques: Wet Ink has comprehensive built-in support for critiques. If you enable critiques for this assignment, Wet Ink will automatically ask students to create responses to this assignment. Specify the date by which students need to provide critiques, and review your critique settings. 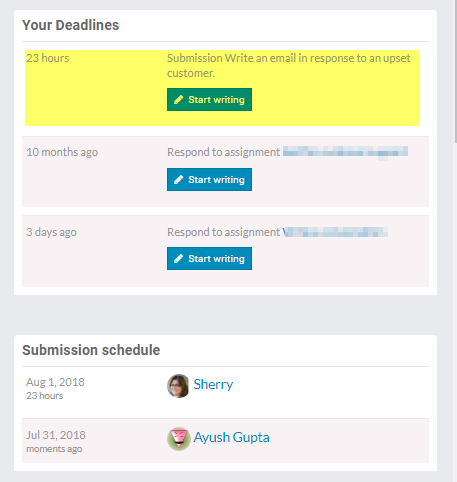 How do students know a submission has been assigned to them? The full schedule of submissions also appears on 'Class Home' and on the 'Submissions' tab. This way everyone enrolled in the class can look up the entire class’s submission schedule.